$0.99 to $59.99 & FREE Shipping on orders over $59 $35. Technical Specifications: 5/16" line provides .40 lbs of restriction per foot. Ideally pounds of resistance should equal pounds of applied pressure. 5/16" line holds 1/2 of an ounce per foot. Made from PVC. Used for CO2 carbonation system to make sure no beer is making its way back up the line. Wanted larger tubing for argon gas. To use for from my syphon to my bottle filler, both are 5/16. What is the Outside Diameter of this tubing? BEST ANSWER: My apology for not answering sooner. The advertised OD is 9/16". The actual measurement using a digital caliper varied from 0.562" to 0.563". I recently purchased this clear gas tubing (5/16") to replace the blue silicon gas tubing in a 3-keg kegerator. I was concerned about the possibility of getting beer in the gas line when shifting connected kegs around and not being able to observe that. Were that to happen and me not to know about it, there would be a good chance of contamination. 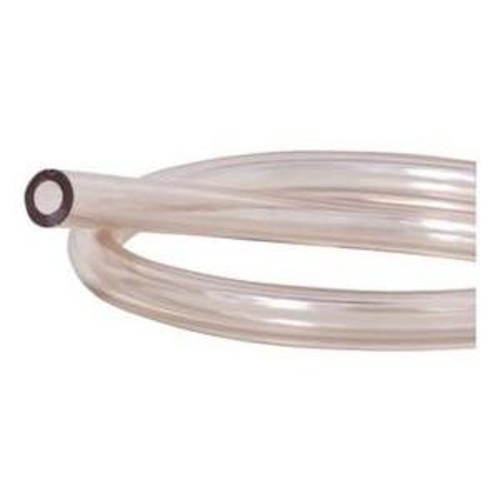 Having clear gas tubing is a definite advantage over opaque or color tubing as you can visually confirm that you are getting beer in the gas tubing.